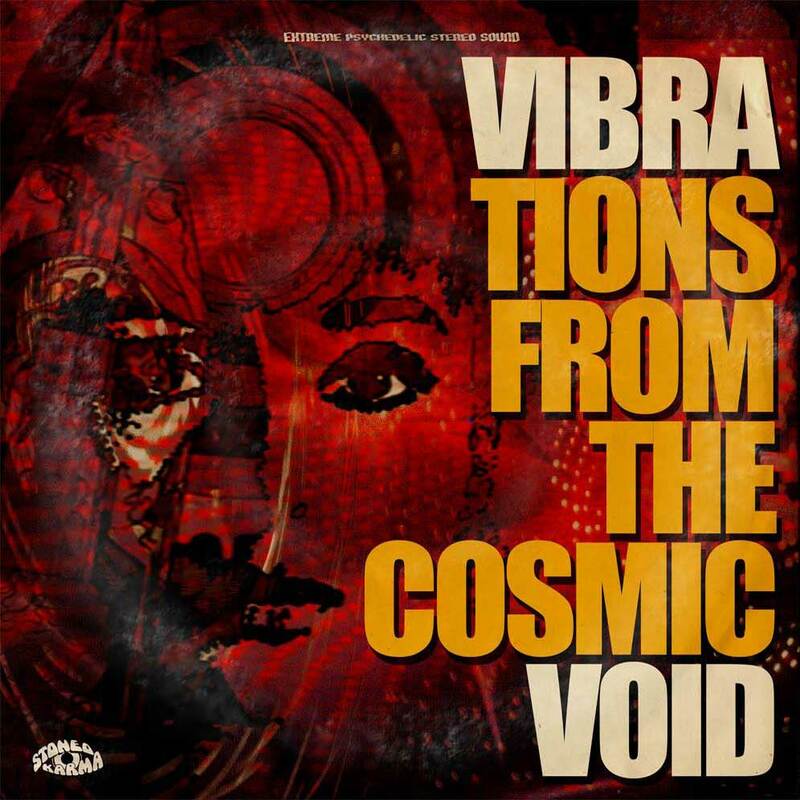 **PRE-LISTENING** In less than a 6 months period, Vibravoid “The Unstoppable Psychedelic Productive Machine”, presents a new album offering new recordings! But it’s not only this! They’re releasing simultaneously a Live album with their performance at their self-produced and organized Rheinkraut Festival 2018. And if you’re lucky enough you can have ALL these together in the pre-order edition (2LP+CD a run of 200 copies). The intentions are shown by the very first note of the opener “Vibrations From The Cosmic Void Part II” (2:57), to take you to a trip beyond Time, to Blow your Mind, to overfeed you with first class “original” modern Psychedelia! 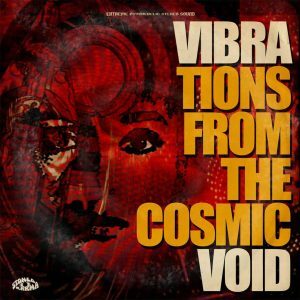 (“Vibrations From The Cosmic Void Part II” continues one of the band’s earliest recordings in 1992). I believe that this album is the closest one to the Krautrock deposits of the band, and this is clear enough in the second track, the cosmic “The Modular System” (5:11), as it seems that it is taken straight out of 1971’s “Die Grune Reise” by A.R. & Machines! Like an out-of-this-universe red-hot comet entering Earth’s stratosphere, “Melodies Of The Stars” (13:15) leaves behind thousands of ‘vibrated fragments’ in a cosmic fuzzy but so groovy soundscape, a kosmique-Kraut tune that almost makes you wanna dance! The song tries unexpectedly to “explode”, this never happens, but what the song manages is to make my brain exploded and broke down into numerous small brains that all of them are remain connected with the psychedelic neurons that created by the cosmic vibrations of this hallucinatory form of music! Let’s move now to side B, a far more experimental side. “The Cosmic Playground” (19:52) and “Frequencies Of The Cosmos” (2:18) are trippy labyrinthical pieces of art. I get the feeling that a “Mushroom Mantra” escaped from the previous album and now is incarcerated into Dr Koch’s Cosmic Parallel Universe. A variation and mixing of Stylophone, Mellotron, Tambura and Sitar sounds with tons of echo n’ spacey effects (didn’t know that a psychedelic bubble sounds this way!) that hypothetically it could tell the story of how Ali Baba trapped inside the Oz land while The Wonderful Wizard sends Ali’s 40 Thieves into Dr Koch’s Parallel Universe… Infinite… Boundless… Insuperable… Magical… Masterpiece!